The original tag was created by ReadLikeWildfire and Earl Grey Books. Many thanks to Mel @ meltotheany and Manon @ Cafe Manon for tagging me, I love the opportunity to reflect on my reading over the last six months! By far my reading has been dominated by ARCs so far in 2018! 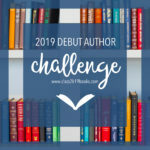 Beat the Backlist challenge has helped to knock out some of the books on my TBR (yay! ), but I definitely need to make an effort to actually read the books I am hauling every month as well. My biggest goal for the rest of the year is to balance ARC reading with new releases that I personally buy! So far I have read 22,656 pages across 76 books in 2018! 1. The best book you’ve read so far this year? How in the world am I supposed to choose just one?! I have read a few 5-star reads this year so far, but there are two that stand out in my mind. This is a tie between Children of Blood and Bone and Ace of Shades. This year hasn’t been too heavy on series reads so far, I have mostly read newly released first-in-series, but I have re-read a couple of series that I enjoy so far but none published in 2018. I feel like 2018 is kind of the year of disappointments for me. I am generally pretty good about selecting books that are up my alley, but lately they haven’t been lining up to my expectations. Grace and Fury and Suicide Club both kind of are top-of-mind because they are fresh reads. Ace of Shades, hands down. I wasn’t sure to expect with this one, especially because I had seen mixed reviews from bloggers whose opinions I trust, but I was absolutely blown away. 7. Favorite new to you, or debut, author. Amanda Foody has earned a spot in my heart, but in an effort to not have this be an Ace of Shades lovefest, I also want to give a shout-out to L. Penelope because Song of Blood & Stone! I don’t typically crush on fictional characters that much, but my GOD do I adore the hell out of Levi in Ace of Shades. Zélie from Children of Blood and Bone still holds a very special place in my heart! Anger is a Gift by Mark Oshiro. Read this, it is incredible and powerful and so, so important. 12. Favorite book to film adaption? The only one I have paid attention to is The Handmaid’s Tale. I think it would have to be 11 books to read about activism that will inspire you. My special UK cover of Legendary! ✨ Well that’s it for my mid-2018 freakout tag! Have you read any of the books that I highlighted? What are some of your favorites? Do you have happy book recommendations for me? Thank you so much, and I cannot wait to read Grim Lovelies! August 17th works for me, I will put it in my calendar now! Super excited, love! Me too, I have some high hopes that I will love this one! Regardless it will be great to read it with you! Great choices! I love you stats at the beginning 😀 I have a physical TBR tower too and it keeps getting bigger not smaller! I actually was really surprised that 8 out of 76 books were contemporaries, because it doesn’t seem like that much but I do enjoy them now and then. I was so excited about digital ARCs when I started book blogging, that I went a little overboard in the requesting department and I am trying really hard to catch up with everything!! Totally relatable… I think we all make that mistake when we first start out! I am still a little bonkers with my requests but I am getting better with only requesting a couple per month now so I should be able to settle into a more balanced reading schedule soon! COBAB is one of my fav book this year too! And I adore every characters in that book! No I’m intrigued to read Ace of Shades, I’ll pick it up soon! Great list!! Thank you so much, and COBAB is so good!!! I cannot wait to continue with the characters next year! I KNOW and before Legendary I had no idea how gorgeous the UK covers were and now I am addicted! Grim Lovelies looks SO GOOD and I cannot wait to see reviews for it. I really want to preorder, but I am sticking to my book ban (so far!). It looks like you’ve had a great reading year so far! ❤ I also need to work on balancing reading ARCs with reading backlist books/books I own. Anger Is a Gift made me cry so much; it's such a necessary, powerful book. It seems like I've heard nothing but fantastic things about Ace of Shades! I really need to get my hands on that one. ACE OF SHADES IS INCREDIBLE AND I WILL SING ITS PRAISES. On a more serious note, I do hope that you enjoy it if you decide to pick it up; more people need to fall in love with the badass that is Enne Salta! Anger is a Gift made me ugly cry SO BADLY. Such a beautiful and important book that everyone should read. Thanks for commenting Madalyn and happy reading! Hehe, i don’t read happy books either. Not even sure why. I read a very summery book this year that was really cute, so i guess that counts as happy.